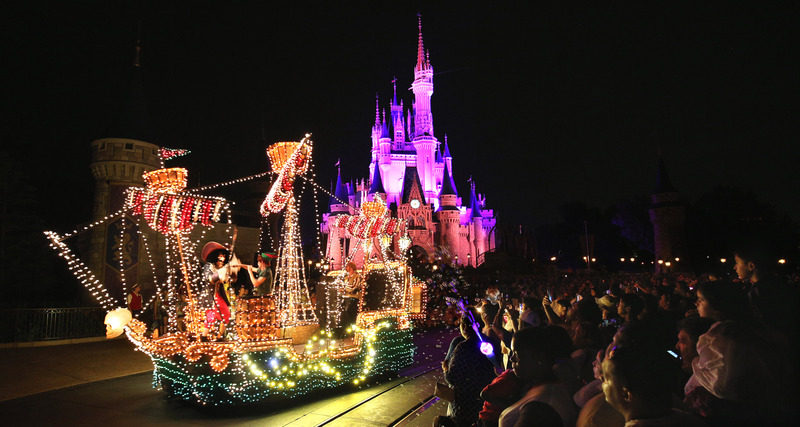 Want to take your family to the Main Street Electrical Parade for free? According to Walt Disney World’s website, going to Disney on select dates for 6-nights, 7-days ranges from $2,390 to $3,29 for a family of 4 staying at Disney’s All-Star Resorts. That may not sound too steep when considering the prices are packaged for accommodations and tickets, but it doesn’t include food or airfare. In my opinion, a Disney vacation is totally worth the cost when you the volume of rides, shows, entertainment and character meet-and-greets at the parks that create lifelong memories for your kids. The Disney property is also detail-oriented and customer-focused from the bus drivers carrying themed stickers for the kids, to gate attendants helping out when our daughter forgot her magic band at the room. But being “worth it” doesn’t mean you can’t score deep Disney discounts, and even go for free. Of course, there is a trade-off. You need to start planning out your trip months, or even a year in advance, to get the best deals and discounts. Here’s how to get started. Credit card rewards can take time to bank, but it really isn’t that difficult to do. For example, the American Express Starwood card can put your family in the driver’s seat to earning points to stay at the Disney Swan or Disney Dolphin hotel. These luxury Disney hotels are a short walk to Epcot with free shuttles to the Magic Kingdom and other Disney properties. Starwood typically offers bonus points (usually around 10,000) for signing-up and making your first purchase. But to really maximize your points, don’t add an authorized user to your card. Instead, open a separate card for your spouse or grandparent so they can get their own bonus points for that first purchase. Starwood also offers a fifth night free when booking, so you may not need as many points as you think. You’e probably looking at roughly 40,000 to 60,000 points for a one-week vacation. Keep an eye on offers from Starwood for bonus points on approved categories and purchases to give your cards more Disney travel power. You can also use Starwood cards for airline miles, but you’re better offer allocating those points to your Disney stay instead. Instead, look for credit cards, like Citibank’s AAdvantage offer which can earn 30,000 American Airline AAdvantage bonus points. You usually only need 25,000 to 35,000 for a domestic ticket, and just about every airline offers a credit card with big bonus miles that can earn a free ticket. 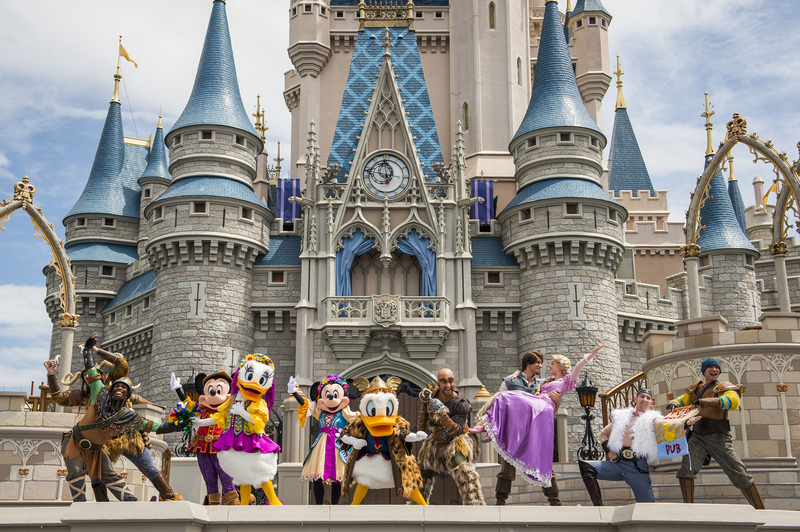 Don’t let your free Disney vacation go to waste with unforeseen emergencies and interruptions. Get travel insurance. Cash back rewards on credit cards are usually only about 2%, but can add up and pay for the hotel’s resort fees and food.Of course, you need to consider any annual fees with your card. But for a free option – the Discover Chrome card offers 1% cash back and no annual fee. There’s plenty to do around Disney that’s totally free and inexpensive. Take a walk at Disney’s Boardwalk and keep an eye out for entertainers in the evening. If you can keep the kids from splurging at the shops, explore Disney Springs and head to the outdoor Lego Imagination Center. When you book your Disney vacation, ask in advance if there’s currently a free meal plan promotion, or how you can save on upgrading. Depending on the resort you book, Quick Service Dining plans (and even Regular Dining Plans) are often available for free. Depending on the resort you book, you could end up upgrading to a dining plan for under $20 for an adult and less than $5 for a child per night. What’s going on at your house while you’re at Disney? If you live in a city or popular tourist area, consider renting it out on Airbnb to put some money in your pocket for your Disney vacation. Get the kids brainstorming about how to earn and save up for souvenirs and special gifts by organizing a neighborhood carwash, babysitting and tutoring. What are your favorite ways to save at Disney? Let us know in the comments below.